Delta Goodrem Neighbours return for the 30th Anniversary. Delta Goodrem is moving back to Ramsay Street. 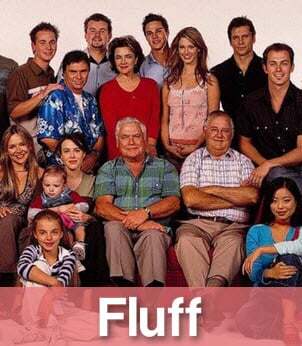 Erinsborough is buzzing with excitement. Nina Tucker is in town. Remember her? Blonde hair, angelic voice,singing something about being born to try… sound familiar? Delta Goodrem. It’s DELTA GOODREM. 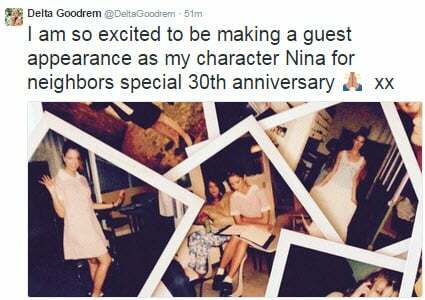 Delta is back in Neighbours town for the 30th anniversary special that keeps getting bigger and bigger. Her character Nina Tucker, the girl-next-door who embarked on a singing career – reflected her own success in real life as her music took off in 2002-2003. And of course, it looks like Delta will be singing on the show once again, just like the good ol’ days. Delta as Nina, because she was Born To Try. Delta has been on set filming her three-episode character arc which will be a part of the Neighbours Anniversary celebration to run in March next year. 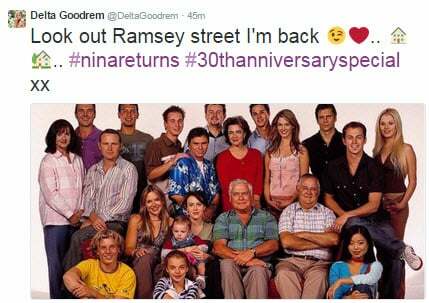 She may have misspelled Ramsay Street and Neighbours on Twitter, but Delta is EXCITED. Who else will be back? Madge and Harold. Though Midge is dead so… it could be interesting. We also can’t wait to see Charlene, otherwise known as Kylie Minogue. 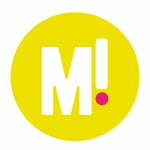 Other returning stars are yet to be confirmed, but Channel Ten assures us it’s going to be exciting. After all, everybody needs good Neighbours.